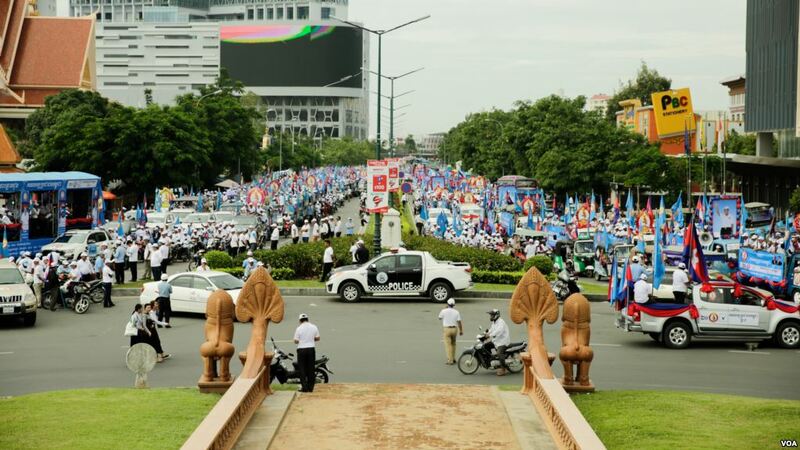 Phnom Penh – Cambodian political parties began a three-week election campaign period on Saturday that saw Prime Minister Hun Sen make pledges to conduct reforms. The campaigning got underway in the absence of the country’s main opposition party, which was banned by the Supreme Court late last year and will not be able to field any candidates to contest seats in the July 29 election. Speaking to thousands of supporters in Phnom Penh, Hun Sen, the leader of the ruling Cambodian People’s Party, vowed to end political divides in the country and use development to bring Cambodians out of poverty.